Yesterday, the children in years 4-6 enjoyed a comic book workshop with Kev Sutherland. 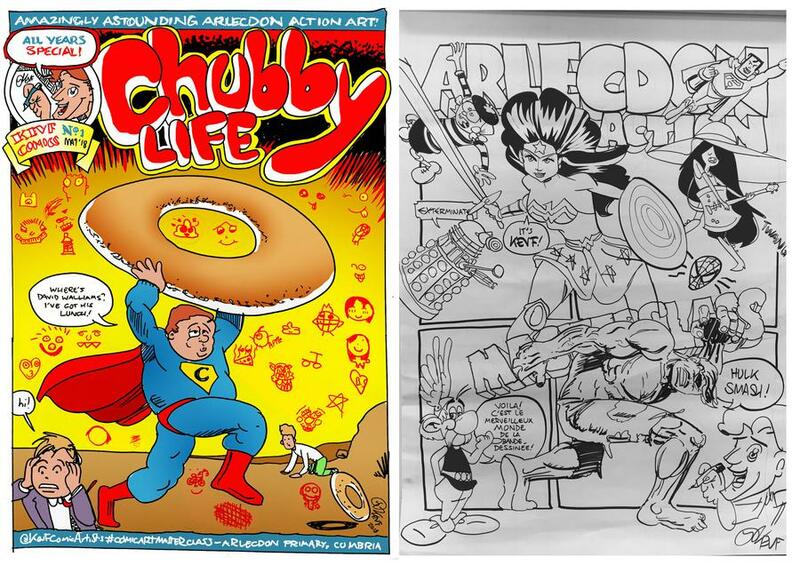 His work includes comic strips for The Beano, Marvel, Dr Who and many more. The workshop showed the children how a simple drawing can be turned into a character and by adding detail and backgrounds the picture begins to tell the story.